Are you a parent or caregiver of a small child? Have you ever wondered about how much time your child spends watching TV or using a tablet? The American Academy of Pediatrics (AAP) recommends that television and other entertainment media be limited to 1-2 hours a day for children. The AAP also suggests no screen time at all for infants and children under age 2. Yet screens surround us every day! 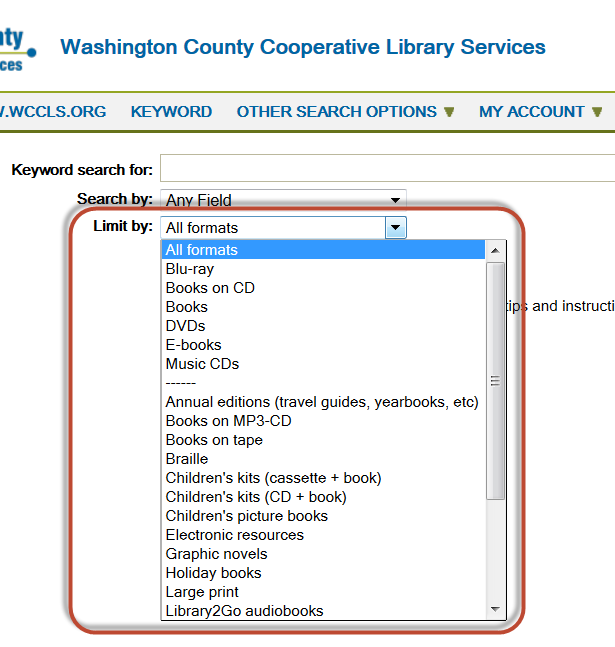 WCCLS member libraries are dedicated to helping you connect with high quality information and navigate the sometimes confusing world of technology in the early childhood years. Update: 'Like' our post on Facebook to be entered in a drawing for one of two autographed copies of Lisa's book, Screen Time. Don't have a Facebook account? Enter the drawing here. Drawing to be held on February 28th. 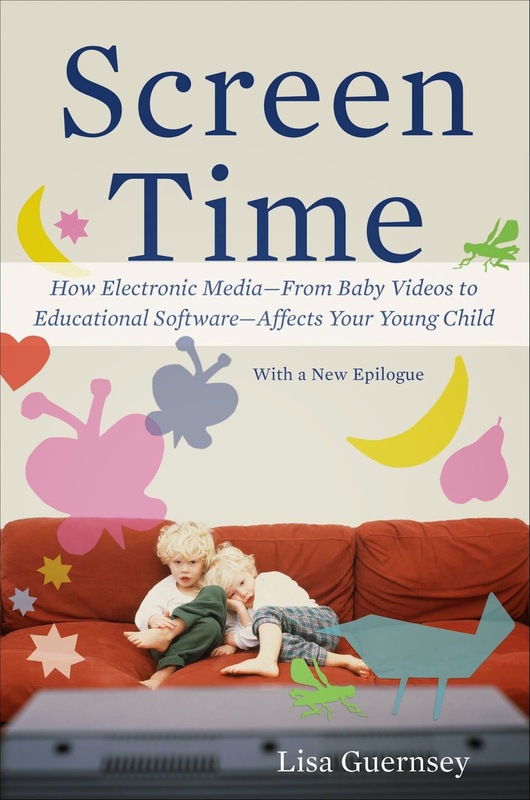 Lisa Guernsey is the author of Screen Time: How Electronic Media – From Baby Videos to Educational Software – Affects Your Young Child. She also directs the Early Education Initiative at the New America Foundation (http://earlyed.newamerica.net/), a non-partisan think tank located in Washington D.C.
WCCLS libraries are celebrating the centennial of Oregon poet William Stafford in a year-long Oregon Reads project. Find Oregon Reads events at a WCCLS library by checking out the online calendar. There are kickoff events at several member libraries this weekend (January 17th through 19th). More events are scheduled and will continue to be added throughout the year, so check this link often for the latest information. Check out titles by and about William Stafford in the WCCLS catalog. 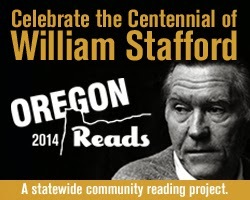 Oregon Reads, Celebrating the Centennial of William Stafford, is a project of the Oregon Library Association. To learn more, visit the project website. 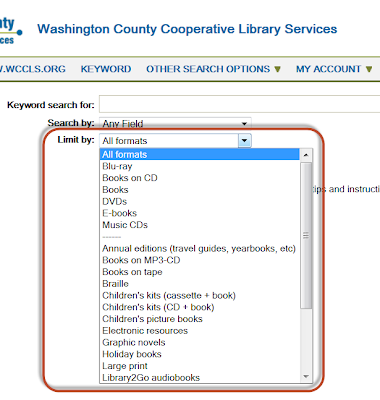 When you search the WCCLS Catalog, you have the option of limiting your search to titles in a specific format (like book, blu-ray, graphic novel, etc.). As of today, the “Limit by” search options are now arranged make it easier for you to find the format you want. The most commonly searched formats are at the top, followed by all other formats in alphabetical order. All WCCLS member libraries except Tualatin Public Library, Tigard Public Library and Tuality Health Resource Center will be closed on Monday, January 20th, in observance of Martin Luther King, Jr. Day.